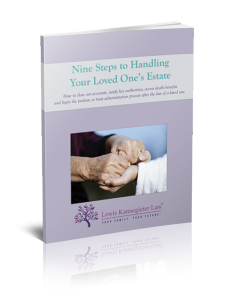 Nine Steps to Handling Your Loved One's Estate - Lewis Kannegieter Law, Ltd. This free guide is designed to walk you step-by-step through the process, starting with the nine steps you should take immediately after the loss of a loved one. Your duties as a personal representative (executor) or trustee, and how to carry them out in a way that involves the least amount of legal/court fees, headaches and delays for the estate. Don’t wait to learn how to close out your loved one’s estate in the most cost-effective and easiest way possible. 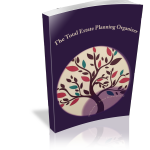 Download our free guide now to learn the nine steps to take immediately after loss.